Niseko Realty is a real estate and property development agency in Niseko Hokkaido Japan. Search for Niseko property sales, hotels, land, condos and more. 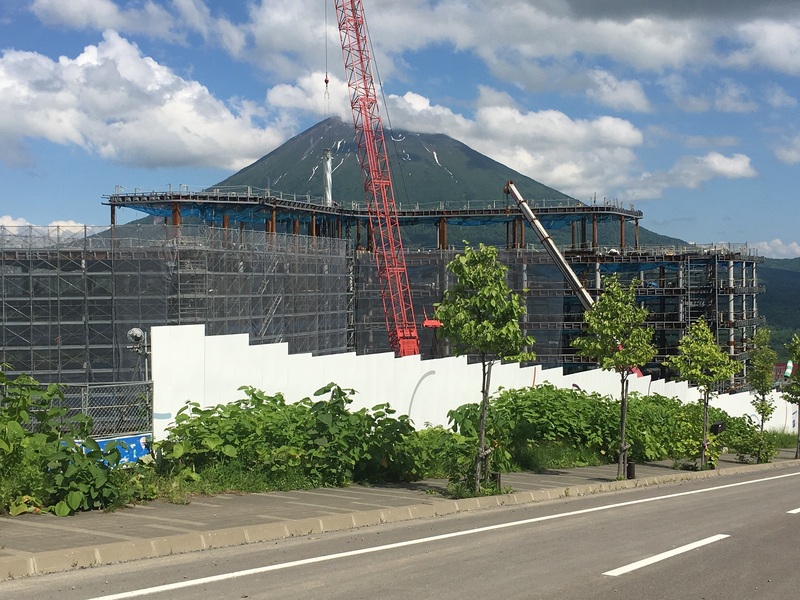 Skye Niseko construction is well underway with the construction company working diligently on the foundations for the two wings. We are happy to announce that the front building has all the pilings complete with concrete foundation now starting to be poured. Piling on the back building has started with good progress being reported. 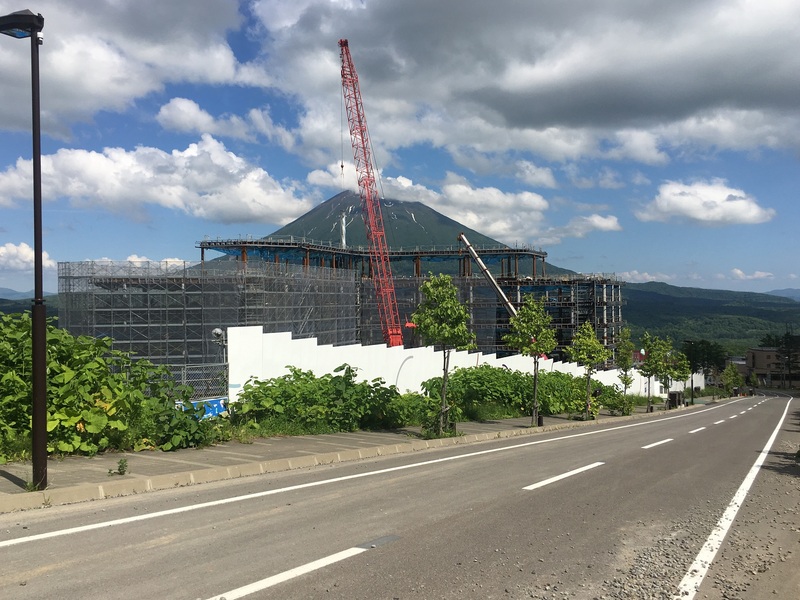 The start of May has seen the start of construction for SKYE Niseko’s ski in ski out condominium/ hotel project at the top of Hirafu Village. Summer 2016 will see the majority of work concentrating on the onsen works along with the foundation works for the building. 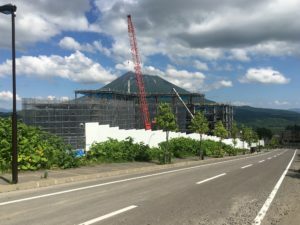 It is very exciting to see this Skye Niseko construction now started and it will surely become the flagship property for Niseko moving forward. On the 27th April 2016 SKYE Niseko had the official ground breaking ceremony on a beautiful spring day. There was a great turnout of guests from the SKYE Niseko team, building company – Iwata Chizaki, architects – Architectus / ISA and many town dignitaries. The ground breaking ceremony in Japan is a very sacred event and is the formal blessing for the site, new building and all the companies that are associated with the delivery of SKYE Niseko. We are excited to announce that SKYE Niseko is formally underway and we are looking forward to the delivery of this exciting project in August 2018. On top of SKYE Niseko you will find what will undoubtedly be four of the best Penthouse’s Niseko will potentially ever see. These Penthouse’s have commanding views over the whole Hirafu Upper village, ski slopes and beyond to Mt Yotei. We are pleased to announce that SKYE Niseko North Penthouse has now sold. 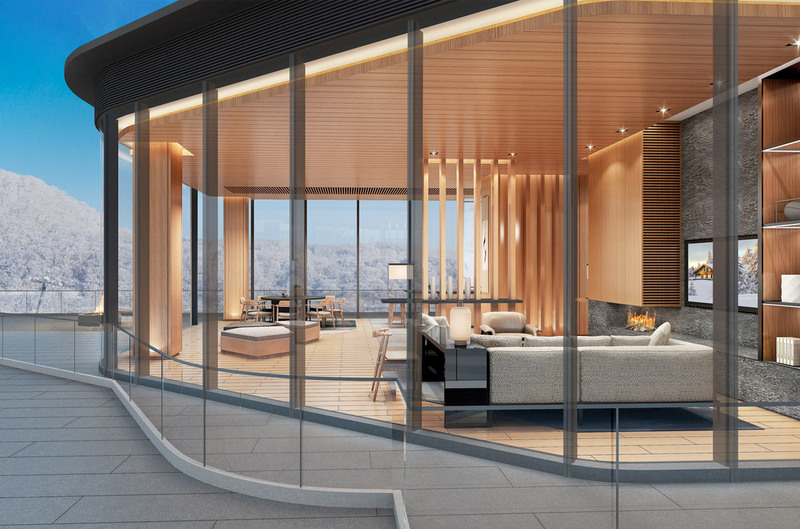 There has been very strong interest in the SKYE Niseko Penthouse’s given the location, views, onsen and general investment potential they offer buyers. Each Penthouse offers a degree of customization for the new owners to work with the developers which is a unique approach that has not been seen in Niseko yet. The Hokkaido Bullet Train will have it’s first scheduled trip Hakodate Hokkaido station officially on the 26th March 2015. The process of the extension to Sapporo is currently underway and completion of the line is expected in 2031 spring. Niseko area which is on the way from Hakodate, is a popular international ski resort that is growing at a rapid rate every year from overseas investments. The business leaders in Hokkaido claim that they shall open Kutchan station prior to 2031 with talk of a date possibly in ten years. The opening of the Konbu tunnel for the bullet train line is 8 meters in height and 10 meters wide is located in Kurokawa, Niseko town. The construction is well underway with huge drilling rigs working overtime that cut a distance of between three ~ four meters a day. The tunnel whose whole length will be 10 km, is expected to be completed in 2023. 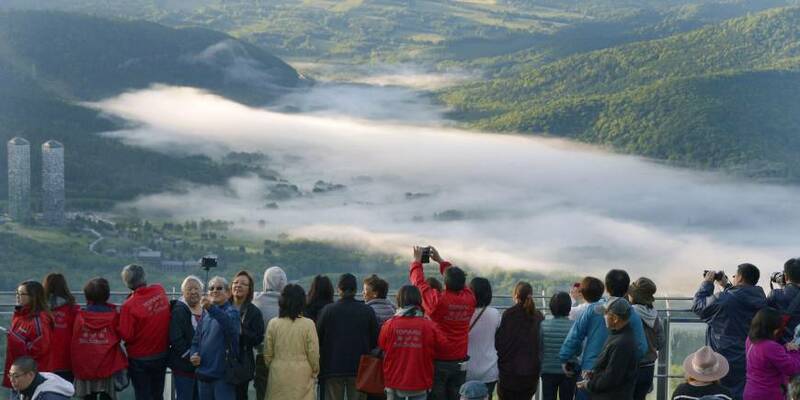 The Shinkansen is big news for Niseko as it will open up the resort to the domestic market for both summer and winter. It will also open up options for our Niseko visitors for day trips to Sapporo and Otaru for shopping and dining that can be done with ease. Niseko Grand Hirafu resort and Niseko Village have announced plans for major lift upgrades in response to growing numbers of skiers to the area. In Hirafu The King Hooded Triple Lift #3 will be the first lift line to undergo renovation, with construction to start at the end of the 2015/16 season. The upgrade is to a high-speed quad and it will be moved 130 metres down the hill from the Hirafu Gondola. The revised starting point will also make the new chairlift accessible from the top of the King Quad Lift #2 – a lift that has been kept closed for most of the season over the last few years. This will be a huge benefit to SKYE Niseko allowing easy access to all the main lifts taking skiers to the top of the mountain. 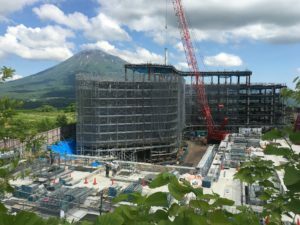 Niseko Grand Hirafu has indicated that its next priority will be the renovation of the Ace Family Pair Lift, which services the ever-popular Family run. The lift is expected to be upgraded to a triple or quad, though no time frame has been made clear at this point. The upgrade is set to increase the lift’s capacity by up to 30%, and will be complete in time for the 2016/17 season. In Niseko Village a expansion to their beginner terrain with two all-season lifts and a new 1.2 km beginner run that runs along-side the central village will make Niseko Village a very attractive choice for those new to skiing or snowboarding. A state-of-the-art “Village Express” – a high speed detachable lift, comprising of six-person chairs and eight-person gondolas – will service the new beginner course, which will run from the Green Leaf Hotel and Kasara Village Townhouse past the central village retail and dining area and over the main access road for Hilton Niseko Village. The lift will have a mid-station half way up to allow easy access to the central village, and will feature a single glass-bottomed gondola. Two magic carpets will operate in the area between the bottom lift station and the Niseko Kids beginner area, serving as a perfect training ground for those not quite ready for the full 1.3 km course. Both new lifts will be operational until 10 pm each night, extending night skiing hours by 90 minutes and allowing convenient evening transportation between the village center and all three major accommodations. Indeed very exciting times for Niseko and in the future we hope to hear of more upgrades to the two remaining resorts of Annupuri and Hanazono which will greatly benefit the whole area. Niseko Realty are pleased to announce that due to such high demand we have released the second block of amazing SKYE Niseko ski in ski out units available for sale. There is a great selection of studio, 1 bedroom, 2 bedroom, 3 bedroom, 4 bedroom and Penthouse accommodation available. SKYE Niseko is a ground breaking project located in the national park with ski field on two boundaries. It is a pure ski in ski out location. Contact Niseko Realty as lead agent to secure your ski in ski out apartment in this special location today. SKYE Niseko sales have been nothing less of amazing since the first release of apartments in Niseko’s hottest property this winter. 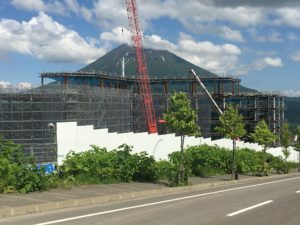 The developer reached their yearly goal within 4 weeks of the project going on sale, a Niseko record. SKYE Niseko’s pure ski in ski out location combined with the exquisite interiors that will define a new level of finishing in the village are the main reasons for the strong sales. The developers are now finalizing all the first release sales and are working towards a second release of 20 units for the CNY sales period. Construction will commence on April 15th 2016 with the building due for completion in August 2018. SKYE Niseko will become the landmark property of Hirafu Village and will be a welcome addition to Niseko’s premium ski in ski out properties. 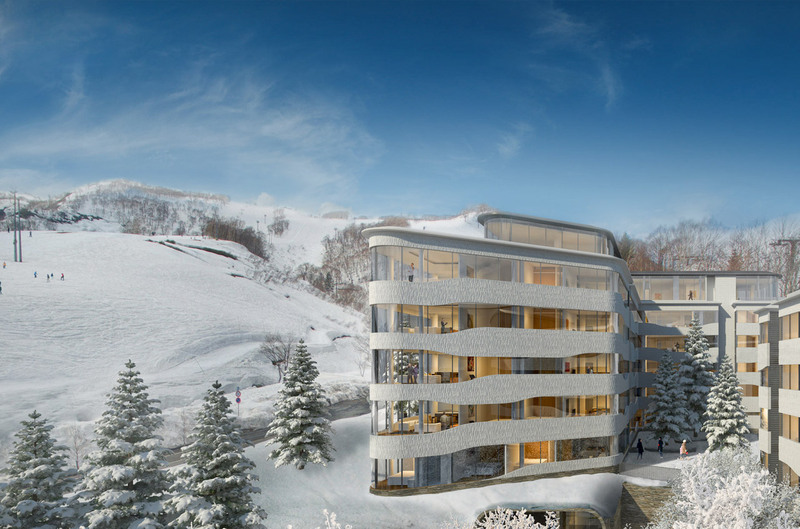 Expressions of interest are invited for Skye Niseko, an exquisite ski-in / ski-out condominium-hotel in the Upper Village of Hirafu, Niseko, Japan. Commercial facility management company Shanghai Yuyuan Tourist Mart Co. is to buy a major ski resort in Hokkaido for ¥18.3 billion.